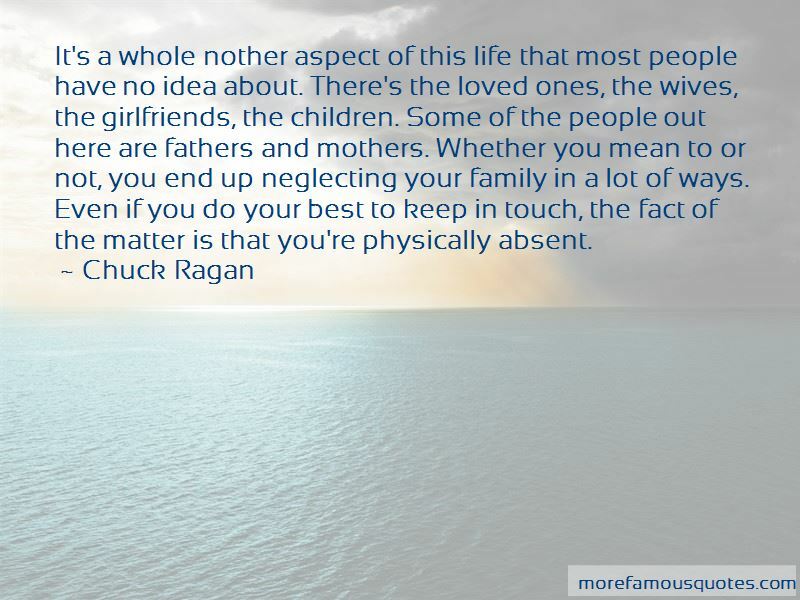 Enjoy the top 25 famous quotes, sayings and quotations by Chuck Ragan. Over the years since then though, I couldn't even begin to try and count all the mistakes I've made but also, all the joys I've found while traveling on the road. So in living this kind of lifestyle day in and day out for that many years you learn. You learn a lot about yourself. You learn a lot about how people should be treated and how they should treat each other. For the most part, I've really learned patience, temperament and fairness all around. So it's a constant struggle, it's a constant balance, it's a constant search to find the balance between being responsible, carrying on with this as a livelihood and making ends meet, but at the same time, respecting your loved ones and being able to stay in touch and be there for them, at least emotionally since you're not there physically. Hat's just a fact of life. So I've taken music into my life and it's gotten into my blood to the point where even when I am alone, I've got something to hang onto. The song writing is different because with this stuff, I write it on my own and with Hot Water, we're more of a collective and I love both sides of that. Honestly, it's two different animals but I love and respect them both and feel really honored to be blessed with people who care about it and come out and support both sides of it. You're always kind of shifting and changing and it's a really exciting process. I've always written songs to use music as a form of therapy or as a way to look at my obstacles or my memories from a different perspective. It's always helped me realize the grass isn't always greener and how I need to live more in the moment. My songwriting is a documentation of whatever's happening in my life at that point in time. 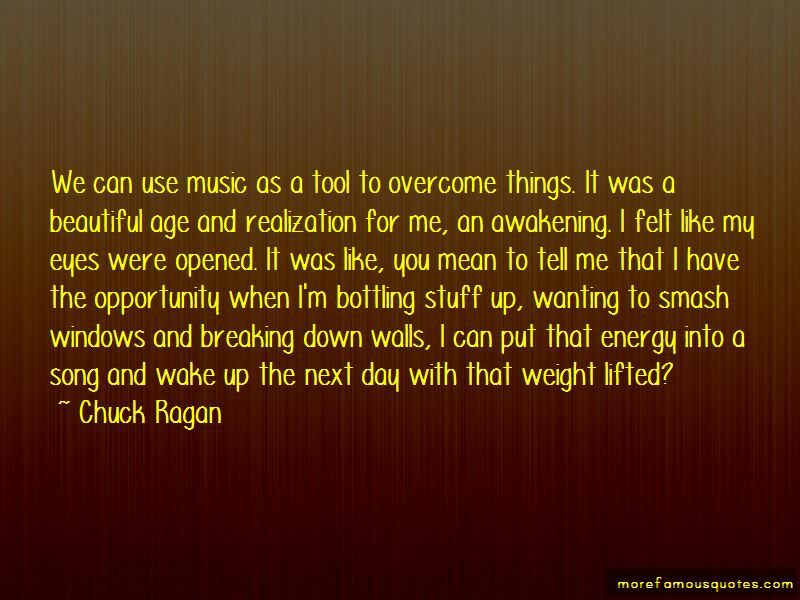 Want to see more pictures of Chuck Ragan quotes? 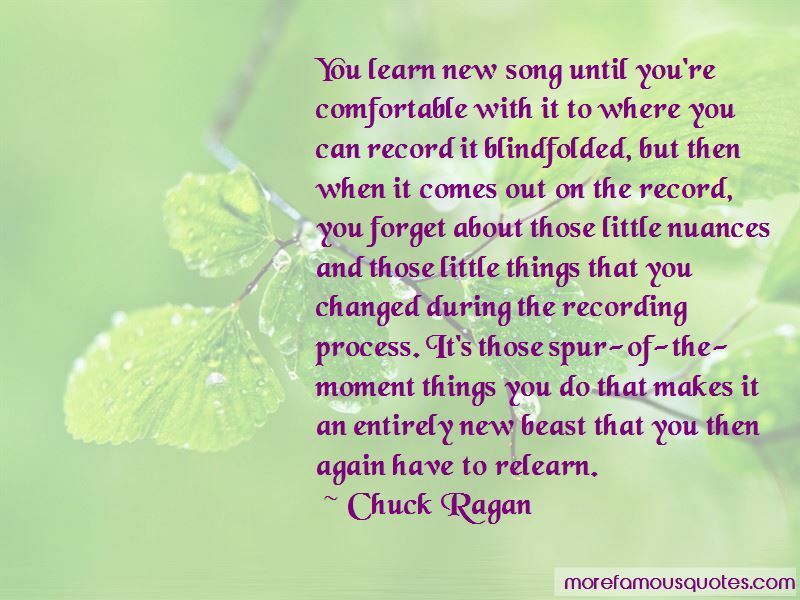 Click on image of Chuck Ragan quotes to view full size.